The Belvedere Palace was home to the France Archduke Francis Ferdinand, whose assassination by the Serbian nationalists triggered World War I. Considered a landmark in Vienna, this beautiful charming building has been completely built in lavish baroque style prevalent in those times, which suddenly gave away to modern paintings and arts. The frescoes, rococo motifs and the Arabesque designs in both the interior and the exterior form an important highlight of the Belvedere Palace. 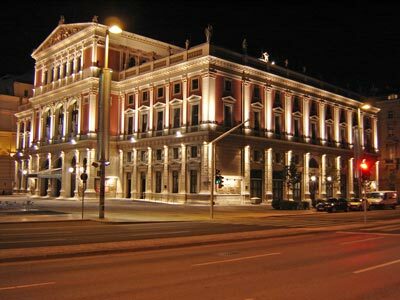 Our car hire services take you around many such palaces and mansions, including the Beethoven’s mansion in Vienna. The Hundertwasserhaus is viewed by millions of tourists from car windows, bus windows and the roadside. It is not open to the public but it is worth a look. This residential apartment was designed made by the eco-friendly designer Friedensreich Hundertwasserhaus and consists of a unique structure with plants and shrubbery thrown in at oblique angles to the buildings. Predominantly coloured in black and white patches, there are traces of red, blue, yellow in places whereas the green natural colour comes from the plants adorning the structure. Our car rental services can take you to the lesser known attractions in Vienna along with the popular ones, such as the Demel Bakery, known for its beautiful pastries, cakes and bread varieties. The strawberry cake with real strawberry filling and the sour chocolate pastry are a must for visitors as are several other confectionary items you can try of here. Nestled in the hilltops surrounding the Vienna, the Gloriette is a regal mansion site built to serve as a recreation centre for guests of the nobility when they visited the palaces and strode into the countryside for game hunting. This place, apart from offering you fantastic views of the Vienna skyline and the pastoral surroundings nearby, is now also a camping and picnic site and has cafes and restaurants offering delectable local cuisine. Use car hire to take the family along to enjoy its charms. Vienna is one of the most beautiful cities in Europe and Vienna car rental services are easily arranged so that the vehicle is ready when you arrive. Parking your rental car in Vienna can best be done in a garage. Its safer for you and your rental car. There might be the possibility to park your rental car in the outskirts of Vienna and move around by public transportation which is not too expensive and will compensate for the parking fee you will need to pay if parking in the city center. Take in mind that many big cities have a city center only accessible for locals or delivery purposes. Vienna is a popular rent a car destination, there are many car rental companies in Vienna with a wide range of different car categories. Many of our clients have rented a car in Vienna and had good experiences. Do not wait with booking your car for Vienna before you know prices will go up and the availability will get low. Last month, the average car rental length in Vienna was 3 days. The average rental car length in Vienna is 3 days. The most booked rental car type currently in Vienna is COMPACT cars. Last year, the most booked rental car type in Vienna were COMPACT cars. How much does it cost to rent a car in Vienna? Last month, the average car rental price was 156 USD. Last year, how much did it cost to rent a car in Vienna? Last year, the average car rental price was 238 USD. What is the current average daily price to rent a in Vienna? Last month, the average rental price was 52 USD per day. How much did it cost to rent a car in Vienna over the past 12 months? Last Year, the average rental price was 70 USD per day. The car rental companies available in Vienna are: . See below last 5 customer reviews. Our customers rated Vienna Car Rental with an average of 0.00 based on 0 ratings.